Elite Shooting School’s individualized approach to shotgun shooting builds the targeted proficiency you need to succeed through private classes. Full-day, half-day and two-hour lessons are available within the Houston area. Group clinics are designed to improve the skills of each shooter. Elite Shooting School customizes the clinic to develop the core skills of the group. Full-day and half-day instruction is available within the Houston area. National and international travel offered upon request and availability. Shooting instruction at corporate events enhances team building and performance skills. Businesses including KBR, Smith Services, Oceaneering and Laramie Leasing use Elite Shooting School for group instruction, shooting seminars, safety clinics and company hunts. 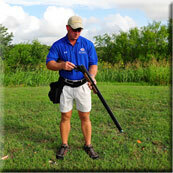 Elite Shooting School will accompany shotgun shooters to any tournament. 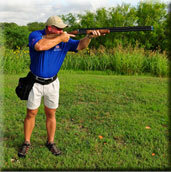 Bobby Fowler, Jr. provides specfic and skilled instruction during tournament courses, with world-class advise during pivotal points for both the individual shooter and squad. Instruction, lessons and guest appearances by Bobby Fowler, Jr. can be scheduled through Elite Shooting School and will enhance any shotgun event.